Paula Tesoriero is a name you may not have heard of before and I have to say, I could write all I know about Paula on the back of a postage stamp with a carpenters pencil, but I do know this, shes a lawyer, a vegan and an incredibly focused and professional athlete. 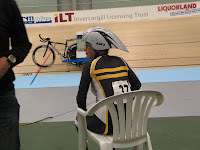 Paula is currently training in the warmer climate of Western Australia for an optimal build-up for her track cycling events at the Paralympics in August 2008. Paula had some great results at the World Champs last year with silver medals in both the 500m TT and the 3000m Individual Pursuit. She also set a world record in the 500 metres TT at the Oceanias in Sydney in Feb 08. She races in the LC3 category. 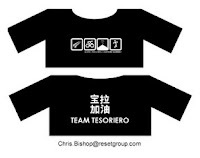 Her coach Simon Crumpton has started a blog here so we can hopefully keep up with whats happening in Beijing. Anyone wanting to support Paula by purchasing a T-shirt should get in touch with her husband Chris on this email address (on the T-shirt graphic). 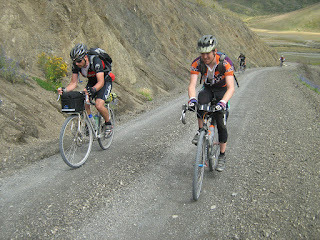 If anyone is not out riding on Sunday morning then you can catch Paula on Attitude TV, 9:30am, TV1 Sunday 29 July 2008. Hello, I´m a vegetarian runner and cycler. Is Paula really a vegan atlethe?